Ojooo has an effective way of increasing your earning. You can maximize your earning by renting other Referrals that click for you. If a rented referral clicks, then you make money with it. The referrals you can buy here. A referral you can rent for 30 days and the cost for a referral amount to $ 0.2 . After the 30 days, you can extend the term of the rented referrals here. Attention: If you buy Rented Referrals, then you can buy only in 3 days again! If your rented referrals aren't active, then they will automatically replaced from the system within 4 days. You can also independently manage inactive referrals here (delete / rental period extend / replace ). Note that you get offered rented referral that must be active at least last 5 days and click at least 20 ads before we rent him. You can extend renting time, prices are shown in table below. Commission for rented referral is the same as from direct referral: check our FAQ. Every rented referral must be active at least last 5 days and click at least 20 ads before we rent him. In accordance with your membership your rented referrals limit varies and you can rent referrals once for 3, 5 and 7 days. To increase your rented referrals limit click here. If your rented referral is not active, due to your memership he will be automatically replaced in 3, 5 or 7 days. The work to improve the effectiveness of referrals is not necessary, as practice has shown that it’s much better not to touch them – the system itself will replace all inactive referrals. By working with rented referrals means actions that we take when the term of rented referrals coming to an end. On our site there is an article "5 options for the effective work with referrals in Ojooo WAD", where methods of work in detail are described: Extension of referrals for 30, 60 and 90 days Autopay Purchase of new referrals With the extension and the purchase of new referrals everything is clear. Here you can learn as most quickly and effectively to use AutoPay. AutoPay – is the system that allows to prolong a referral for 1 day ahead. It works only if your referral makes cliques, that is money is withdrawn for working referrals which looked at least 1 advertizing a day. If the referral wasn't active, the system changes it for another. The cost of 1 referral depends on how many rented referrals you have in total. Before Autopay needed to control every day, which means that every day you should look through the pages with rented referrals. Those, whom the system replaced, need to be put again on AutoPay. It seems not difficult when you have 10-15 pages with rented referrals on AutoPay. Now the system is adjusted and there is no need to spend a lot of time by putting on autopay all replaced referrals. All that is necessary is just in case to see pages and to be convinced that the replaced inactive referrals already stand on autopay. You can simply select their color, to understand which of referrals were replaced. 1. Go to the page with rented referrals. 12 Responses to "How to purchase/rent Ojooo referrals to maximize your earning"
Earn money from home with and without investment. LEAST $300 MONTHLY STRAIGHT TO YOUR ACCOUNT GUARANTEED! "YOU CAN'T SAY NO TO THIS"
IT DOES NOT OPEN THEN TYPE YOUR NAME, USERNAME, EMAIL ADDRESS ETC. DOLLARS EVERYDAY. GUARANTEED!! Happy Earnings!!! you have $2 in your ojooowad balance. COPY AND PASTE THE LINK IN YOUR BROWSER OR GOOGLE IF IT DOES NOT OPEN THEN REGISTER IMMEDIATELY AND START WORKING YOU WILL SURELY MAKE A LOT OF MONEYS ONLINE WITH THESE 2 PROGRAMS GUARANTEED!! MAKE SURE YOU JOIN TWO OF THEM AND BE ACTIVE ENJOY YOUR MONEY!!! 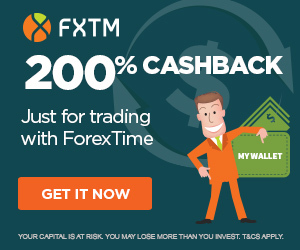 Follow our trades today & earn up to 270% per day. Earn money fast with ojooo register and start earning. One thing I cannot understand... one rental referal cost .2 / month.... so 10 rented referal $2/month... they click average 2.5 or 3 you can make only .15/ rented referal so for 10 referal $1.5...... just think u invest $2 and earn $1.5.... net loss $.5...... I am a member for more than 2 month... also if u repay them for 3o days u have to pay $2/ 10 rented referal...... now tell whats wrong with my calculation?? I have bought 10 referals how much will i earn on free membership per day? Money Earning Strategy for Ojooo - Earn 1200$ in 30 days!